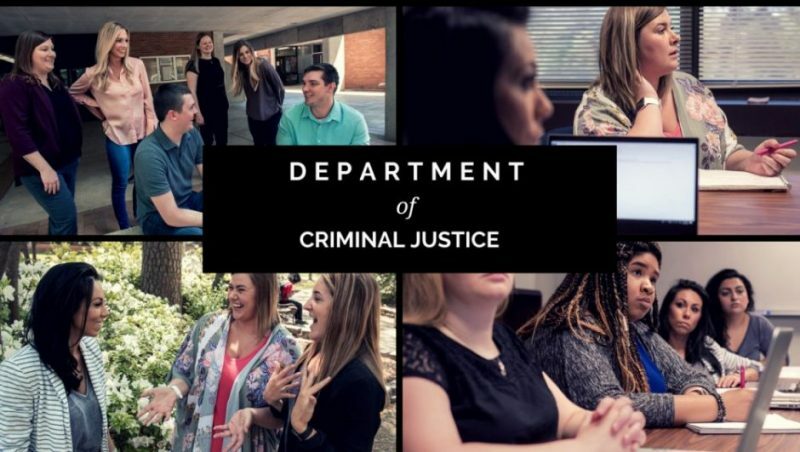 The Department of Criminal Justice at UA Little Rock is Arkansas’s flagship program in its discipline. Across all degree programs, the department provides students with the intellectual and practical skills that they need to become successful and socially responsible professionals. Our programs are lead by outstanding scholars who approach the study of crime and justice with a unique blend of research and practice. Improve the criminal justice system. Address and solve pressing issues related to crime. Develop cutting-edge research and theory. Prepare the next generation of criminal justice professionals. For information about our undergraduate programs or advising, contact Ms. Karen Wisdom (kmwisdom@ualr.edu or 501-683-7508) or Dr. Mary Parker (mlparker@ualr.edu or 501-569-3195). For information about our graduate programs, contact Dr. Tusty ten Bensel (ixzohra@ualr.edu or 501-683-7665). Edna Ramirez, a single mother of two children, was a court Spanish interpreter for the Union County District Court in El Dorado for 14 years prior to taking classes at UA Little Rock in 2011. It was there that she realized that there was a need for people with her talents in the criminal justice field. Ramirez has since earned bachelor’s degrees in criminal justice and sociology. She estimated that around 75 percent of her classes were taken online, and said that taking online classes allowed her the flexibility in her schedule she needed. Ramirez worked full time and would often commute to El Dorado. “To me, it was the hardest thing because I had to commute throughout the week to make sure I was seeing the kids, and I was also going to school. So, registering for online classes made it a lot easier. I didn’t have to be on campus. Anything that went on with my kids during the day, I was able to just go and take care of that without having to miss class,” she said. 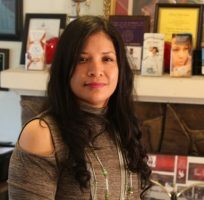 Ramirez now works as a limited-English-proficiency victim advocate for The Center for Healing Hearts and Spirits at the Women’s Council on African-American Affairs – a nonprofit organization that provides services to victims of violent crimes. She utilizes her criminal justice degree in her work because she often goes to court with victims, files police reports and orders of protection on their behalf provides them with shelter services and other legal assistance and stays in contact with their prosecuting attorneys.